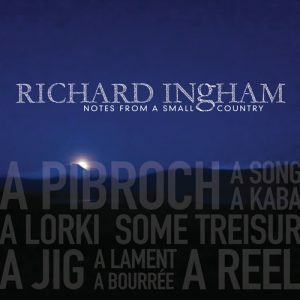 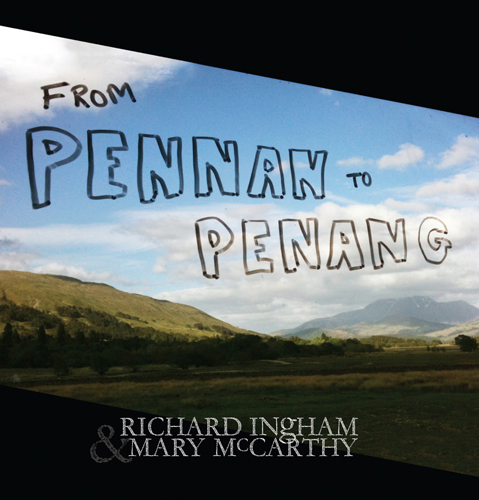 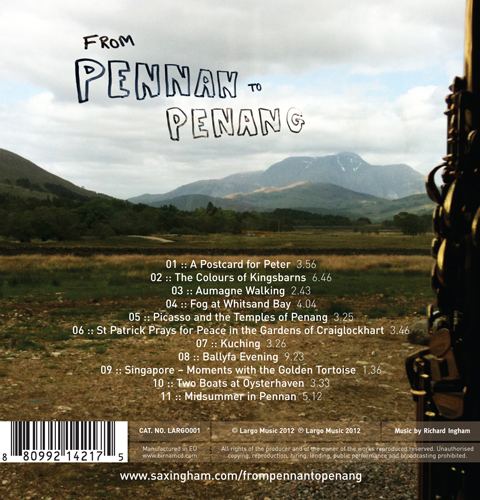 From Pennan To Penang is an atmospheric suite of eleven pieces by Richard Ingham for soprano saxophone and piano accordion. 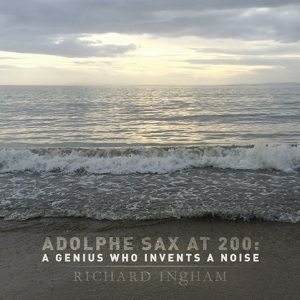 Based on his travels in Scotland, Ireland, England, France and Southeast Asia, the writing moves from contemporary to jazz to traditional throughout the work. 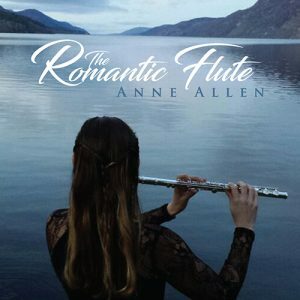 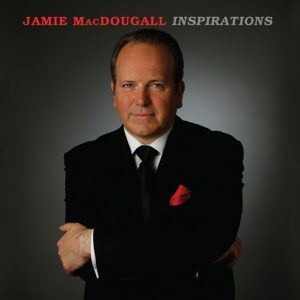 It was written in 2003 and recorded in 2010 at Watercolour Studios, Ardgour, Scotland.